During this festive season there are many functions happening that you might well be looking for something for your cheese plate and I suppose that it is appropriate that I resume this cheese series with a cheese from my home state. 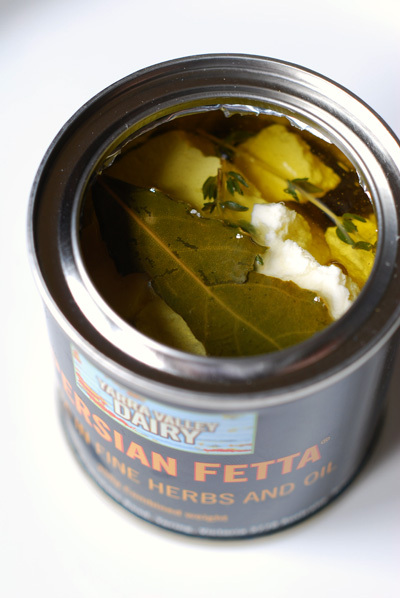 Inside this can is a silken prize and one of my favourites - cows milk fetta marinated in a blend of extra virgin olive oil, herbs and spices. Open the lid and a wonderful aroma wafts up - a mix of herbs with just a touch of garlic to round it off. 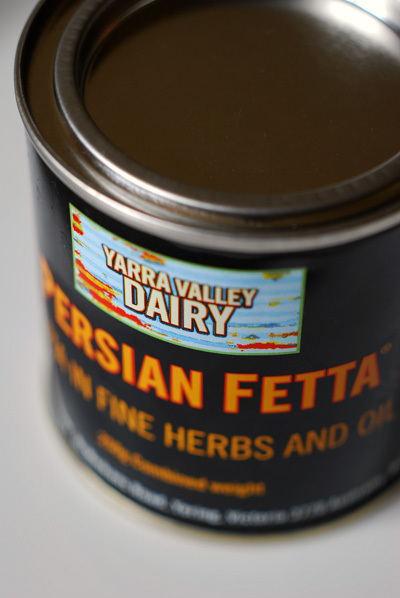 The fetta itself is incredibly creamy, some fetta can be a little dry but this just dissolves and clings to your tongue. 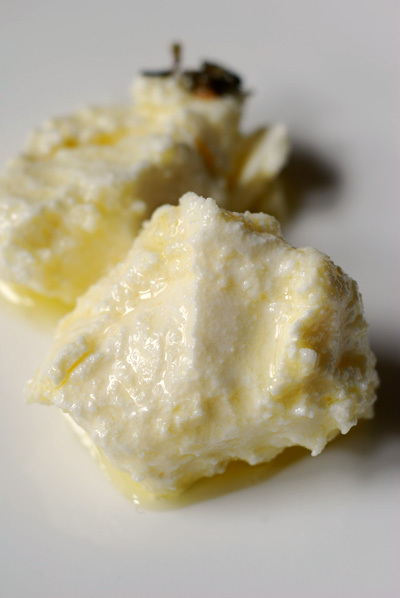 This is a cheese you can gladly eat just with some good crusty bread, it really doesn't need anything else. Beware, once opened one of these cans will disappear quickly so you might well need to get two! If you must you could add it to salads, sandwiches or bake it in a savoury tart or pie. Don't throw away the oil, use it in salad dressing or toss vegetables through it before roasting them for extra flavour.